Your Comments & Observations (OPTIONAL QUESTION) This cabin was not like the picture provided on the web site. The only place to sit was the bed. We brought furniture in from the balcony so that we could have a place to sit. The layout is unfortunate. Due to the placement of the overhead bed the lower bed was so close to the counter that the average sized person could not walk between them without touching both at the same time. Some very large people may not be able to squeeze through. see attached photo. Is cabin E202 in a noisy part of the ship – under/above a kitchen, disco, high traffic area? What else should you know about cabin E202 before you book? 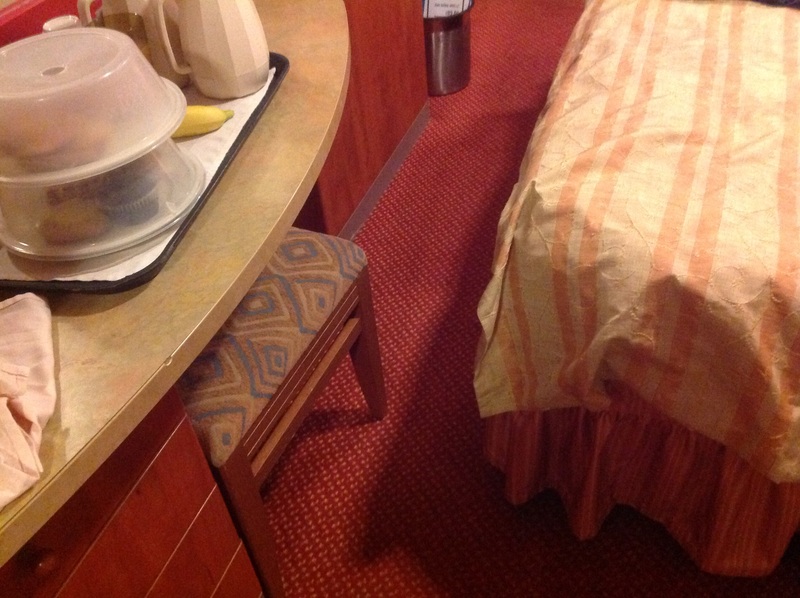 Get a free analysis of Carnival Sensation cabin E202.